As a new year begins, it is also the time to set new resolutions. Let’s be honest. Every year everyone sets resolutions: lose weight, get up early, etc., which are normally abandoned by Jan 25. This year I wanted to try and take a different approach, something more digestable. I decided to make a list of a few things that I could do in 2013 that are attainable and will bring a little happiness. A lot of these are just little ways to take a break from every day life. Sometimes we need to take a step back and do things that will make us smile, relax, or just feel good. 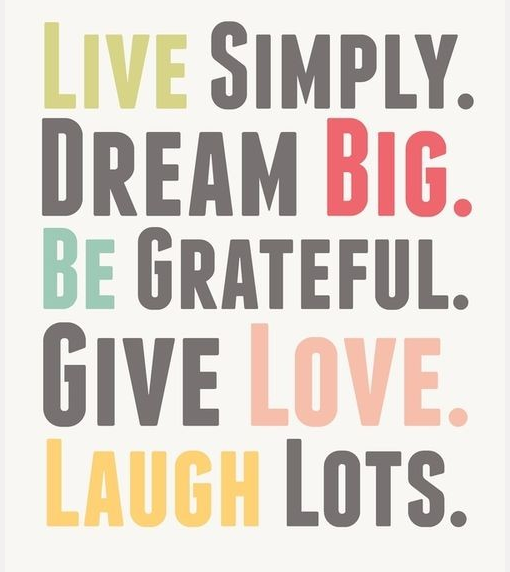 A few ways to make life brighter. Happy mama = happy baby. Yeah! One down… Bear with me while I try and figure out how to do this. I used to work out everyday. I loved it. I want to do it again. The only thing is, it is really hard to work out everyday with such a busy life and a baby, but I need to make it more of a priority for myself. I don’t care if it is just push ups and sit ups before bed or walking around the lake at work – some sort of physical activity. When you work out you just feel better, not to mention I do still have some weight to lose. Most importantly, exercise relieves stress, right? I used to love to read books. Couldn’t get enough. Then life happened. Life got busy, really busy and alas books were sidelined. I did try to read a book in the last few weeks of my pregnancy. In fact, I think the last pages I read were in the hospital- haven’t picked it up since. This year I am going to read a book and more importantly I am going to finish it! Maybe I will even read 2. I am planning to start with this. Very fitting, huh? Stay tuned for my review and thoughts once I finish! I can’t remember the last time I had a girls night. This is sad. This needs to be changed. This one is getting back to basics. We will just have to see what occassions arise, maybe it is paying for someone’s coffee or toll. Maybe it is helping someone with their groceries. Either way sometime in May I am going to stop, and help someone else. Hopefully this passes forward and we can all pray for a nicer world for our children to grow up in. Let’s just start with the small stuff first. Now we all know I won’t be going to Costa Rica anytime soon, but there are a lot of amazing places close to me that I have never been to. This year I am packing up the fam and we are going to check out one of these places and we are going to like it! My hubby bought me a fabulous SLR camera for Christmas. It was so sweet. I think he may have gotten sick of my always talking about it or he didn’t want me paying for anymore professional photographers, but either way I am beyond stoked. The only thing- I am not entirely sure how to work the thing. I don’t know if I will take a class or spend some time reading the manual (hey! can this count as a book?? ), but I will master or semi-master this thing in 2013. Watch out, fabulous pictures coming your way. What are your resolutions and goals for 2013? This entry was tagged blogging, books, exercise, fun, goals, happy, health, photography. Bookmark the permalink.